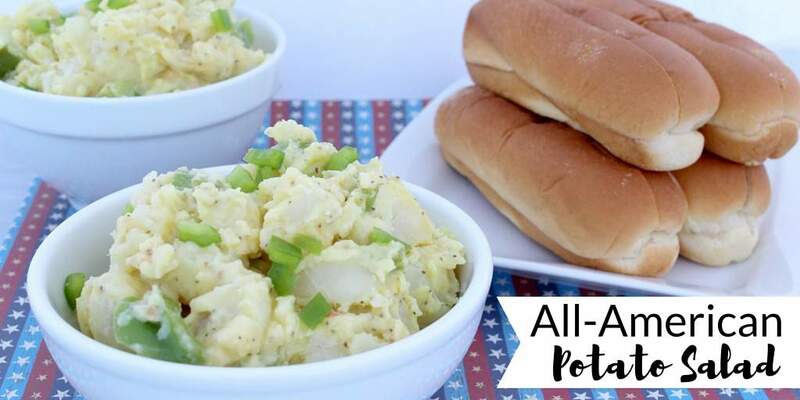 No summer cookout is complete without a classic, All-American Potato Salad served as one of its side dishes. 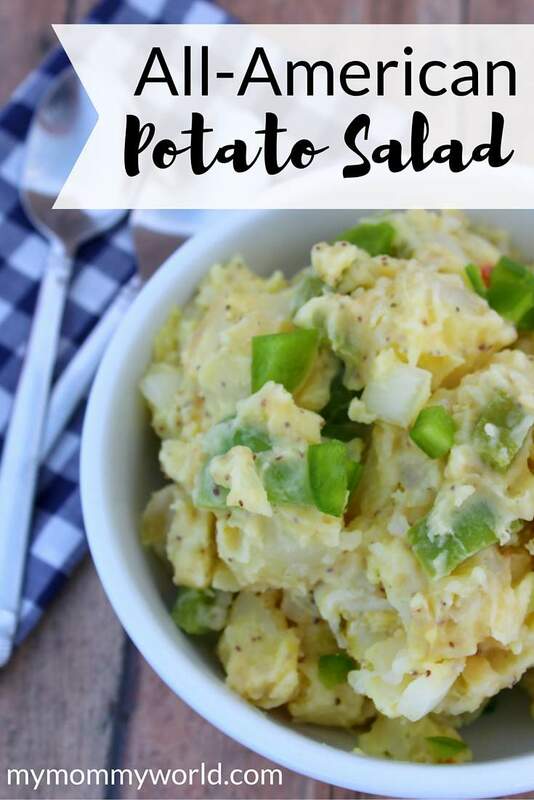 This easy potato salad recipe tastes great served alongside burgers, hot dogs, ribs or pulled pork, and is so delicious, you likely won’t have any leftovers! This recipe makes a large amount of potato salad…enough for 8 to 10 people. If you won’t be serving that many, it’s easy to cut the recipe in half for a smaller gathering or weekend cookout for your family. 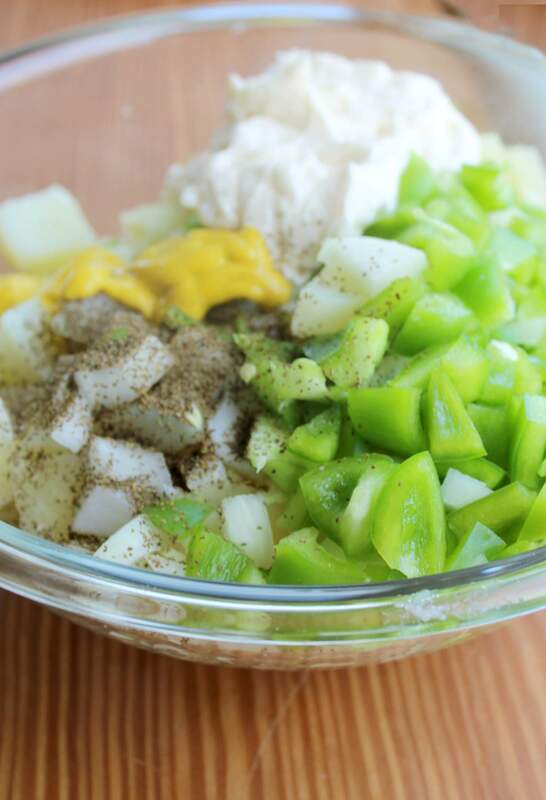 To get started, gather your ingredients: russet potatoes, mayonnaise, onion, green pepper, sweet pickle relish, salt, pepper, and celery seed. To prepare the potatoes, first peel and dice them, then boil in cold water for about 20 minutes, or until tender (just test them with a fork). When they are cooked, drain off the water and let cool for a few minutes while you work on the dressing. Dice the onion and pepper then combine with the remaining dressing ingredients and cooked potatoes. Season well with salt, pepper and celery seed. Don’t leave out the celery seed…it really makes the whole salad! Cover the salad with plastic wrap and place in the refrigerator for several hours (or even overnight). Before serving, stir the salad again, checking to see if it is dry. 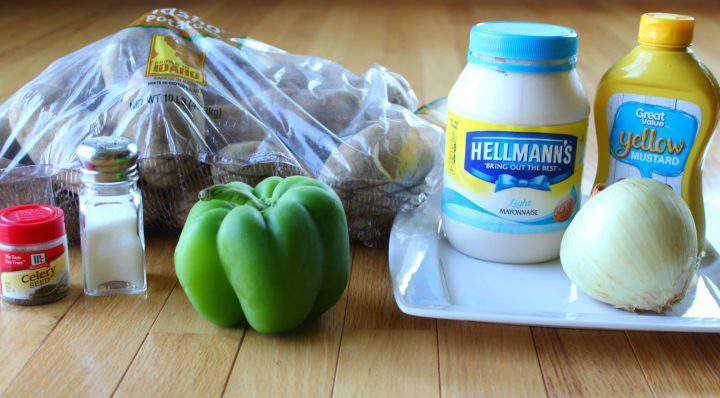 If it seems dry, add a bit more mayonnaise until it is the consistency that you like. Peel and dice potatoes. 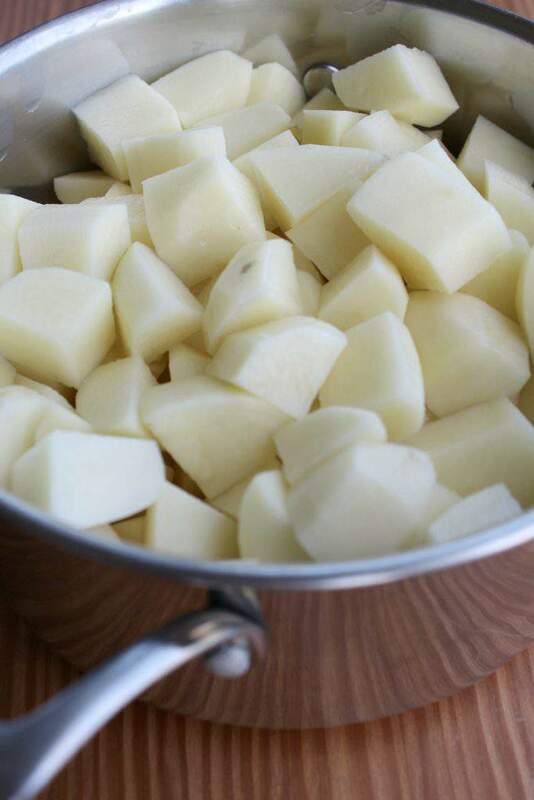 Bring a large pot of water to a boil, boiling potatoes for about 20 minutes or until fork tender. In a large bowl, combine chopped potatoes, mayonnaise, chopped onion, green pepper, and relish. Season with salt pepper and celery seed. 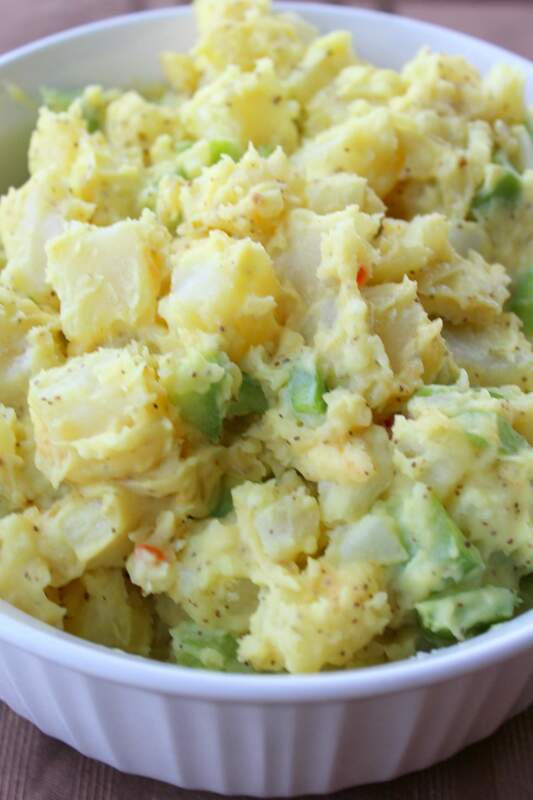 I hope your family and friends enjoy this yummy All-American potato salad! Yum, this looks so delicious! Next time we go out and I have to bring a dish I am definitely making this! It’s perfect for Summertime! Thank you!